Delhi : India's capital & a major gateway to the country, contemporary Delhi is a bustling metropolis which successfully combines in its fold the ancient & the modern. Its strategic location was one of the prime reasons why successive dynasties chose it as their seat of power. New Delhi also reflects the legacy the British left behind. After breakfast, half day city tour of Old Delhi. Visit Jama Masjid, the largest mosque in India. Built by Shah Jahan, the construction was started in 1844 and was not completed until 1658; Red Fort, which was also built by Shah Jehan. 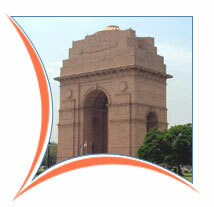 This massive fort was built from 1638 to 1648; Chandni Chowk and Rajghat - the cremation site of Mahatma Gandhi. After breakfast, leave for Agra. Enroute visit the abandoned Mughal city of Fatehpur Sikri : built by Emperor Akbar in 1569, was the old capital of the Moghuls, which was abandoned after 15 years due to scarcity of water. See the graceful buildings including the Jama Masjid, Tomb of Salim Chisti, Panch Mahal & other Palaces which are still preserved in its original glory. Continue drive to Agra. Arrive Agra in the evening and checkin at prebooked hotel. Overnight at the hotel. After breakfast, city tour of Agra. Visit Red fort, which was built by Emperor Akbar in 1565, and additions were made up until the time of his grandson, Shah Jahan. It contains the hall of public and private audiences amongst many other beautiful structues; Itmad-ud-daulah, which was contructed by Nur Jahan between 1622 and 1628 and is very similar to the tomb she constructed for her husband, Jehangir, near Lahore in Pakistan; the highlight of the day - The Taj Mahal, which was constructed by Shah Jahan in memory of his wife Mumtaz Mahal. After breakfast, leave for Delhi. Arrive Delhi and checkin at prebooked hotel. Afternoon, city tour of New Delhi. Visit Humayuns Tomb : built in mid 16th century this is an early example of Mughal architecture; Qutab Minar, drive past India Gate, President House, Connaught Place. The city tour ends with a visit to Laxmi Narayan Temple (Birla Mandir). After breakfast transfer to the airport to board flight for Goa. 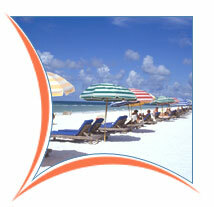 On arrival in Goa meet and assist at the airport and transfer to prebooked hotel. Rest of the day free for individual activities. Full day city tour of North & South Goa. Day free to relax on the beach. Transfer to the airport to board flight for Delhi or Mumbai. 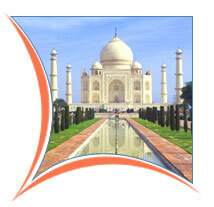 On arrival in Delhi / Mumbai transfer to prebooked hotel. Transfer to international airport to board flight back home or onward destination.